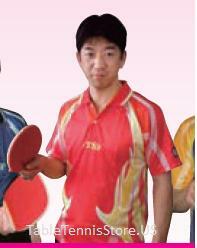 TSP brand is a leading Japanese brand making the best quality table tennis equipments from 1934. The history of TSP goes back to the time when other Japanese table tennis brands like Butterfly started production of table tennis equipments and distributing to the world. The TSP brand is known for it's high quality long pips such as TSP Curl P1R which is still being used by world class defensive players like Joo Se Hyuk (World Top #8) of Korea and Chen Weixing (World Top #8 in 2006) of Austria. The TSP has a line of table tennis products to improve the game of the players. 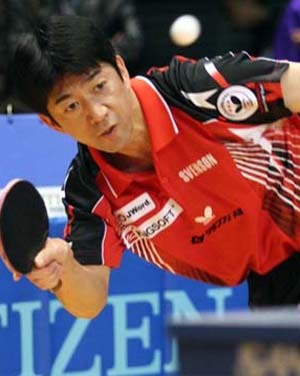 In Japan, TSP is the distributor for XIOM table tennis products. TSP makes table tennis blades, table tennis balls, table tennis paddles, table tennis rackets, table tennis rubbers, table tennis apparels, table tennis glues, ping pong tables and table tennis tables. Koji Matsushita, one of the world's best defensive chopper, once with Butterfly, takes the position of President of TSP Worldwide. © Lord's Table Tennis 2009. All Rights Reserved.